U.P. 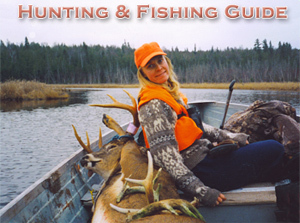 Wide Adventure Guide Guiding Services - "Get Outdoors"
Your Guide for hunting, fishing, and soft adventure in the Upper Peninsula of Michigan. Welcome to U.P. Wide Adventure Guide of the Upper Peninsula of Michigan! Here you will find an array of activities and services that will enlighten, educate, and expand your experiences of the great outdoors. Our location is key! U.P. Wide Adventure Guide Services is located where the four seasons play a large role in offering the utmost perfect opportunity for enjoying a large array of outdoor activities and opportunities. U.P. Wide Adventure Guide offers guided experiences from ½ hour to week long trips and everything in between, based on client interest. Great Adventure awaits you, your family, and friends. Year-long activities from snowmobiling and snowshoeing to snorkeling and kayaking beautiful Lake Superior will fill your senses with experiences some only read about. 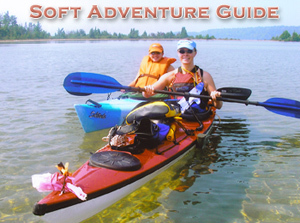 >>Click here to learn more about your Soft Adventure Guide Options - many great activities! The mission of U.P. Wide Adventure Guide is to innovatively promote Michigan’s Upper Peninsula via ecological and historical tourism guiding and hands on education while helping to protect the Upper Peninsula’s past and present for posterity, while still utilizing renewable resources with integrity. Amazing Hunting and Fishing opportunities are available every season. Experience Deer Hunting, Ice Fishing, Steelhead-river Fishing, Smelting, Turkey Hunting, Bear Hunting and More! Upper Michigan -Soft Adventure Guide Services: Kayaking, canoeing, snorkeling, hiking, biking, mushroom picking, caving, four-wheeling, Snowshoeing, Snowmobiling, & more! Upper Michigan - Fishing Guide Services: Menominee Fishing, Steelhead-River Fishing, & more! To inspire people to view Michigan’s spectacular Upper Peninsula in ways they have not previously thought of. To tailor-make an unforgettable U.P. experience based on client desires and facilitated by a personal guided experience. Continue to teach conservation and encourage people to protect Michigan’s Natural Wonders for posterity, while still utilizing renewable resources with integrity. disabled individuals, and veterans to enjoy the U.P. To serve as a liaison between non-Native Americans and Native Americans and to educate people on Native American culture and history.